The death toll from the powerful earthquake that hit central Italy on Wednesday, August 24 has now reached 281. 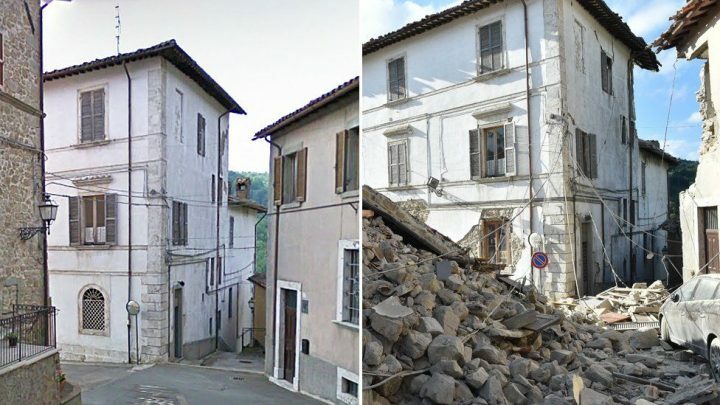 The 6.2 magnitude quake ripped through Norcia, Umbria, approximately 100km north-east of Rome, and towns badly damaged included Amatrice, Accumoli and Pascara del Tronto. However, it is only when you see the following before and after photographs that you begin to understand the full scale of the destruction facing the country. Hopes of finding more survivors have faded, and in some of the more destroyed parts of the country the rescue operation has been called off. In Amatrice the historic old town has been almost completely destroyed. “Only a miracle can bring our friends back alive from the rubble, but we are still digging because many are missing,” Amatrice town mayor Sergio Pirozzi told reporters. 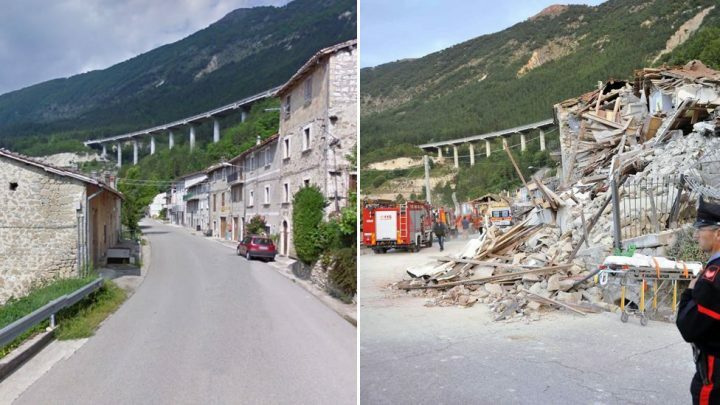 The quake caused houses to collapse down the hillside in Pescara del Tronto. Tremors could be felt as far away as Roma, and survivors have described the scenes near Perugia — the capital of Umbria and popular with holidaymakers — as ‘apocalyptic’. Italy is planning a state funeral for around 40 of the victims on Saturday, August 27 (local time). A day of national mourning was announced and flags are due to fly at half mast around the country in memory of those who have died, who include a number of foreigners. Have you been to Italy? Or do you know someone who comes from there? What wishes would you offer to those who are suffering at this time?